Plettenberg Bay Accommodation in the heart of the Garden Route. Plettenberg Bay Accommodation in the heart of the Garden Route. Known as the Jewel of the Garden Route. Find a place to stay if it is a 5 star quality accommodation or guest house, hotel, self catering, b&b, luxury apartment or tree house. 4204 River Club is located in Zambezi Crescent, one row away from the riverfront in the popular River Club Estate. The property, which sleeps 4-5, is walking distance to Central and Robberg beaches and children are welcome. The Accommodation Bureau was established in 1997 and has grown into one of the largest self-catering rental and home management agencies servicing the Plettenberg Bay market. The business was purchased by the Roberts family in 2002, and under the guidance of Charles and Deanne Roberts it has continued to go from strength to strength, and is assisted by an excellent team. 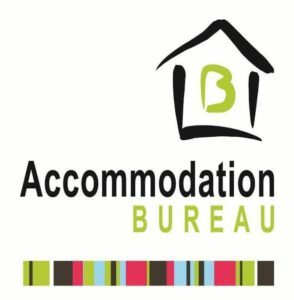 Accommodation Bureau has an established reputation of providing a professional high quality service to our clients. Our focus is to match your needs with the right holiday rental property. Welcome to Amakaya Backpackers & Apartments, your “home away from home”. Please visit our Rates/Specials (Website Link below) page for our current specials. We will make your stay as comfortable and as enjoyable as possible and help you with as much information as we can about the local activities and attractions. Here you can exchange experiences with fellow travelers, and keep in touch with family and friends. Enjoy a complimentary self-help mini breakfast, FREE wi-fi and internet facilities and FREE coffee and tea at both Amakaya Backpackers and Amakaya Backpacker Apartments. Amakaya Backpackers is a clean, friendly and homely place where you can relax after an exhilarating day in the area. We have hot showers (electric and gas), relaxed atmosphere, comfortable beds and a good breakfast on offer. Rates: We have got a large variety of Accommodation you can choose from, have a look below and see which one accommodates your needs. stay for 2 nights and get 20% off our standard rates. stay for 3 nights or longer and get 30% off our standard rates. 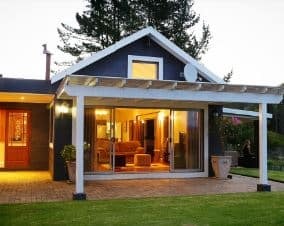 Anlin Beach House, situated in a quiet, safe residential area of Plettenberg Bay offers Four Star affordable luxury just a mere 100 meters walk away from the famous Robberg Beach. The golden sand of Robberg Beach meanders its way to the famous Robberg Nature reserve to the South and the equally well known Beacon Isle Hotel to the North. The beach is 3.5 km long and perfect for a long leisurely walk or finding a secluded spot to relax and soak up the sun. We supply beach towels, chairs and umbrellas for your relaxed, sun filled beach days. You have a choice of Bed and Breakfast or Self Catering in one of our four accommodation options. Our suites are decorated in a modern, contemporary style and include DSTV, free wireless internet connection, DVD player and are serviced daily. Not your typical beach house, this eclectic fusion of African art and artifacts and contemporary furnishings creates a warm, inviting atmosphere perfect for putting your feet up enjoying long, lazy days during your beach holiday. Bayside Lodge, a 5 bed roomed bed & breakfast, is perfectly positioned in a quiet residential area of Plettenberg Bay. With its proximity to Plett’s magnificent beaches, the unspoiled Robberg Nature Reserve, sporting facilities (including world class golf courses), shopping centers and restaurants, Bayside Lodge is a perfect base from which to explore the Garden Route and its myriad activities and attractions. Encompassing peace and tranquility, this four star graded lodge is a mere 4 minute walk from Plett’s famous blue flag Robberg 5 beach. Since taking over Bayside Lodge in March 2014, owner/managers Bernie and Adrienne have created a friendly atmosphere which is both warm and elegant. The Bayview Hotel is privately owned and managed by an efficient and friendly team. It is situated in the heart of the village and is a mere stroll to the beach. One can enjoy Continental and Full English Breakfasts, or a sun downer overlooking the splendor of the Keurbooms River and the Robberg Peninsula. The Bayview boasts 38 en-suite rooms with breathtaking views of the magnificent coastline. The Bayview is well known for its convenient business and conference facilities, and it is equipped with all the necessary amenities needed to ensure the success of your function. For your convenience, the Bayview is open 24 hours per day and offers private parking facilities. A Warm welcome awaits you at the oldest farmhouse in the Uplands region of Plettenberg Bay. Take the R340 off the N2 between Plettenberg Bay and The Craggs and drive for 11kms (driving past the Wittedrift turn). Turn left onto the Uplands dirt road and drive for 1.4kms – Bellamanga is the second on the right. Bishop’s Rock Corner is situated 800m from the pristine Plettenberg Bay beaches and has partial views of the ocean with a good view of Robberg. Our double sleeper unit, Room 1, sleeps 2 people on a double bed with sleeper couches in the lounge area that could accommodate 2 children. The unit has a separate bathroom with a bath and a shower. The lounge opens up onto a patio in a lovely garden. The unit features a fridge, microwave, and TV with a DVD player. Electrical fans are also provided for hot days. There are lots of possibilities for walking and cycling in the local and greater region. We have many local bird species in our surrounded trees and fynbos, making the area perfect for bird watching or for simply listening to their calls while relaxing. The bedroom has a double bed or two single beds, a full en-suite bathroom (shower, bath and toilet) and walk-in dressing room with cupboards. The apartment can sleep 4 people as there are two sleeper couches in the lounge. * The kitchen is fully fitted with a modern electric stove, micro-wave oven, washing machine, tumble drier, dishwasher & fridge. The serve top counter has four oak swivel chairs. * The lounge/dining room is airy and spacious with ceiling fans, D S T V all channels. Boutique Guest House and Bed & Breakfast (B&B), luxury 4-star accommodation in Plettenberg Bay along the arresting Garden Route in the Western Cape. Only a brief walk from Robberg Beach. Perfect for families, couples, single persons, business people, as well as friends and architecturally designed with the emphasis on privacy. Rooms with wide balconies to allow for stunning views over the wetland, the nature area as well as Robberg Beach and the ocean. Cornerway House is situated in a residential area, but only seven minutes’ gentle walk to the famous white sands of Robberg beach. The house is decorated with a Colonial flavour. Relax in our pretty garden where you can read and unwind after the beautiful beaches. Breakfast, either full English or continental is served on the covered patio overlooking the swimming pool or in the dining room. Our double rooms are en-suite with TV, bar fridge and, tea and coffee making facilities. We are happy to arrange whatever outings you would be interested in, see the To Do page for more. Every room has a safe. We have off street parking.Should you like to stay in a house that is full of character and charm. Your hosts, owner Robin and manager Kathy will try and make your stay as fun and relaxing as possible. Dolphins’ Playground Beachfront B&B is an up-market B&B – situated on magnificent Robberg Beach in Plettenberg Bay, and is an ideal setting for enjoying the magnificent beauty of the Garden Route. All bed-rooms have en-suite bath-rooms and enjoy wonderful sea and mountain views. Eventide Lodge occupies approximately 4ha along the Bitou River and Wadrift Private Nature Reserve. There are a number of outdoor activities available. offers exquisite luxury, set amongst the forest that stretches untamed along the Tsisikamma Mountains. Our Bed and Breakfast lies adjacent to indigenous forest on the most scenic and unspoilt stretch of the Garden Route, flanking world renowned tourist attractions such as Tenikwa Wildcat Sanctuary, Monkeyland, Birds of Eden and The Elephant Sanctuary. The picturesque seaside town of Plettenberg Bay, with its stunning never-ending beaches, ocean based activities and gastronomic delights is only a 20 minute drive away. Fynbos Ridge is set among fragrant Fynbos. There are spectacular mountain views and the property abounds with abundant bird life. The secluded pool is ideal to relax and unwind, or one can enjoy the many activities in the vicinity forest or coastal hiking trails, glorious beaches, top golf courses, whale watching ocean safaris. Choose between a luxurious suite in the gracious Cape-style Manor House or a spacious self-catering cottage, newly refurbished with stone bath tubs. Delicious dining and alfresco breakfasts are available, or pick your own salad from the organic vegetable garden. Goose Valley Golf Estate Accommodation in Plettenberg Bay from the official ON SITE Chas Everitt Goose Valley Rentals and Sales office. We are part of Chas Everitt International Property, a premier South African Real Estate Group and member of the Leading Real Estate Companies of the World group. As a leading South African Real Estate brand Chas Everitt assures you of professional service with the highest standard of ethics. Few places can transport you somewhere else in time & emotion. One of these is the GRAND Café & Rooms, where a sense of elegance and worldly charm reflects upon its setting over one of Africa’s most beautiful bays. Grand Café, with her 7 uniquely styled rooms, presents a beautifully appointed deck, Leopard Lounge and Café to experience GRAND café-style dining. Set on the edge of indigenous forest with breathtaking views of the valleys & Tsitsikamma Mountains. Outstanding cuisine, comfortable accommodation & friendly hospitality. Sixteen rooms in unique African style offer private wooden decks, king-sized beds, most with cosy fireplaces. Superb breakfasts and dinners are served on the pool deck or around the communal candle-lit dining table. The Villa at Hog Hollow is 400m from the main Lodge overlooking the forests and mountains. A spacious three-bedroom Villa includes a games room, swimming pool, barbecue facilities and a central eating area . Ideal for families or 2 couples traveling. Nicola Krisch is our self catering holiday accommodation Specialist with years of local experience under her belt. Nicola’s passion for tailoring each placement to individual client needs makes her the perfect candidate to manage your selection process to meet the needs of every individual in your party. Fragrant and colourful, Hunter’s Country House’s flourishing gardens create an idyllic setting for this luxurious retreat in the heart of the Garden Route. Hunter’s Country House combines gracious elegance with sheer comfort and impeccable service with warm hospitality. Far from the madding crowd, yet conveniently close to a wide variety of leisure activities. One of the first things guests notice about Hunter’s is the sense of “home”. It starts at the beginning of the driveway with enticing views into secret gardens abundant with butterflies and scented air. Then the team and the House herself just seem to embody a feeling of family and belonging – of coming home. The individual thatched cottage suites are plush and peaceful, decorated in a pale green and oyster palette, accented with a romantic sparkle of crystal trimmed canopies and dainty chandeliers. A privately positioned patio and garden makes for tranquil relaxation, reflection and reconnecting. Built out of love for family and a passion for creating wonderful experiences for our guests, Hunter’s Country House legacy has become a personal journey and a home to all those who entered through her doors. Young or old, it is a place that fills your heart with fond memories and remains with you for a lifetime. Ingwe is situated on privately owned land of approximately 200 hectares, much of which is covered in pristine indigenous forest and is a haven for plant, bird and animal life, creating an ideal location for not only outdoor adventure activities and conservation orientated programmes, but also as a venue for conferences and weddings. The Accommodation and Venue A large wooden barn-style lodge is available for workshops, gatherings and events, with a fully equipped kitchen and an outdoor boma and braai area that overlooks the forest canopy. We also have a large open field that is perfect for a Bedouin tent, and a natural clearing in the forest that provides an intimate setting for a wedding. Ingwe has accommodation from 2 to 80 people offering both self-catering and catered options. 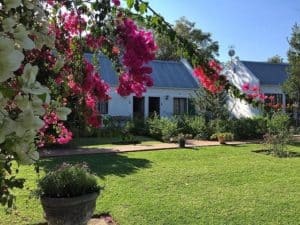 Laird’s Lodge, a gracious Cape Dutch homestead, is situated on a 24–acre estate and offers distant mountain views, koi ponds, a secluded pool and veranda’s and courtyards which ensure a truly relaxed stay. Each of the high–ceilinged elegantly decorated en-suite rooms, convey a feeling of tranquillity and include cushioned comfort, air-conditioning, percale linen and specialised toiletries. Gowns, room safes, telephones and tea and coffee facilities add additional luxuries. Lala Panzi BB is a brand new, architecturally designed Bed & Breakfast with a modern African atmosphere. The B&B offers four generous luxury suites and one large flatlet. It is located in a quiet, safe residential area of Plettenberg Bay on South Africa’s famous Garden Route. All rooms have stunning vistas of the Indian Ocean, the Tsitsikamma Mountains with the Formosa peak, the Robberg Nature Reserve peninsula to the right and whale watching in season. It is just a short walk away from the beautiful and unspoiled Robberg Beach which is famous for its location to take a relaxing walk or have a nice swim. Quietly situated among large colourful lily ponds and indigenous forests, Lily Pond is renowned for its design, tranquility, creative cuisine and relaxing ambiance. This “Afro Zen” style Country Retreat is ideally situated to explore Tsitsikamma National Park and close to Nature’s Valley beach and lagoon. Enjoy abundant bird-life, forest trails and spectacular views of the beautiful lily ponds from individually decorated rooms with wooden decks. Good food sets the scene, Lily Pond’s chef’s culinary skills are not to be missed. Large salt water pool. Heated Jacuzzi. 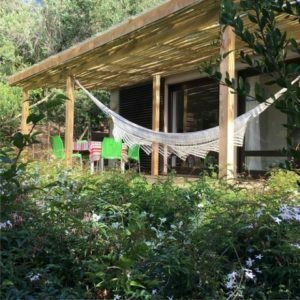 Long Story Guest House & Cooks Kitchen, is a Boutique Garden Guest House perfectly located just a 300m walking distance from the idyllic shores of Robberg Beach in Plettenberg Bay. Long Story offers a unique experience to guests with a fun, inspiring Cook & Stay option or simply Just Stay option. Situated within a quiet residential area, Long Story offers a peaceful and inspiring feel brought together through creative elements designed and manufactured by local artisans. There are four luxury en-suite bedrooms and off street parking is available. All our rooms are equipped with complimentary Nespresso Coffee , Light Mini Bar, Eco-Friendly Heated Towel Rails, Fine Quality Linen & Beach Towels, Personal Safes, Ceiling Fans , Heaters & all open up onto their own private porch with Garden View. Moon Shine on Whiskey Creek is set on 14 hectares of unspoilt indigenous forest in the very heart of the Garden Route. Come and experience the enchantment of the forest from the comfort of a lovingly handcrafted wooden cabin nestled among the trees. Or drink in the views from the wide veranda of our garden cottage. 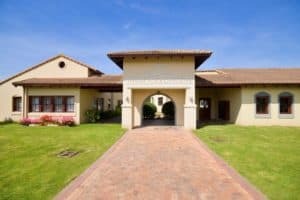 All units are fully equipped for self-catering and some have flat screen TVs with select DSTV channels and Butterfly Garden Cottage offers free Wi-Fi. Just a few minutes’ drive from Plett Town centre & situated among peaceful surroundings, you will discover the friendly and homely atmosphere of Moonsong Backpackers (formally known as Starling Backpackers). 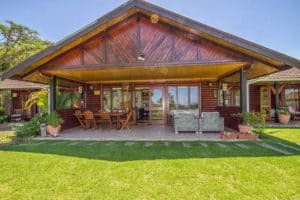 A perfect setting for visitors who prefer peace and quiet in a rustic atmosphere to blow off some steam & yet close enough to take a quick drive to town where they can experience the ambience of Plett and all the amenities our beautiful town has to offer. On the entertainment side we offer a light meal restaurant & pub area with an indoor fire pit for the chilly evenings. Moonsong Accommodation & Backpackers can entertain individuals, couples or large groups of visitors (120 beds available). We offer self-catering units, private twin & en-suite bedrooms with fully equipped kitchen facilities. We also have medium to large dorms with hot water showers. Packwood is an award winning vineyard & country estate on the Garden Route between Plettenberg Bay & Knysna surrounded by indigenous forests, amazing views and nature in abundance. Enjoy wines and bubbly from the vineyard and homemade cheese platters using produce from the estate dairy and gardens. Enjoy a home made cheese platter at The Lunch Box – Monday to Friday 10am to 4pm. Our cheese platters are made using produce from the vineyard, dairy and gardens. All the rooms are very stylishly decorated and reflect the surrounding sea and mountains. Six of the seven rooms have balconies where guests can enjoy the panoramic view from the Robberg Peninsula to the right and the Tsitskamma Mountains to the left. The lodge can accommodate children, if the suitable rooms are available. Peaceful surrounds set in 15 acres of lush vegetation in Plettenberg Bay, part of the Garden Route lies Piesang Valley Lodge. This luxury 4 Star Bed and Breakfast accommodation in Plettenberg Bay is close to beaches (1.4km away), and town. The lodge borders on the Plett Country Club golf course. 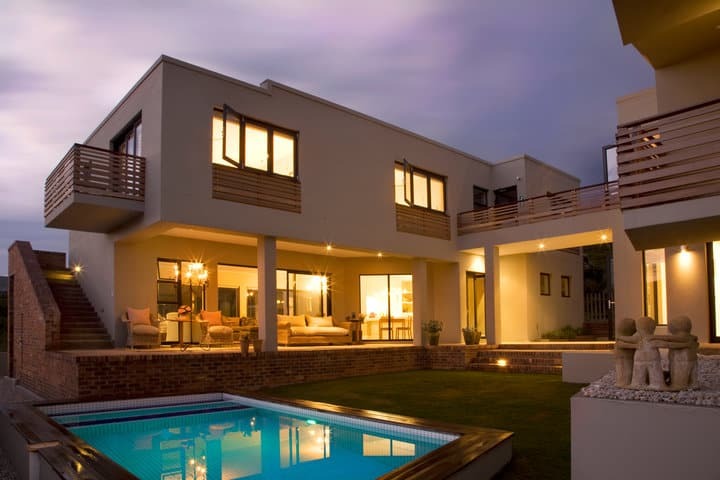 Plett Villas is situated in Plettenberg Bay on the Garden Route in the Western Cape Province of South Africa. Many visitors enjoy Cape Town and its Wine Lands and then make their way down the Garden Route to Mossel Bay, Wilderness, Knynsa, Plettenberg Bay, Tsitsikamma and then onto Port Elizabeth and the Addo Elephant National Park. 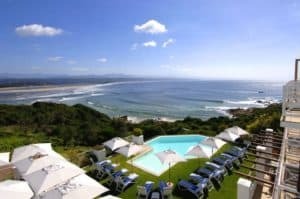 Plettenberg Bay is known as a destination for the discerning visitor and boasts some of the most beautiful beaches in Africa. The beauty and variety of natural areas is a huge draw card. We have the Ttitsikamma Mountain range and forest, Robberg Nature Reserve and of course beautiful, natural beaches. 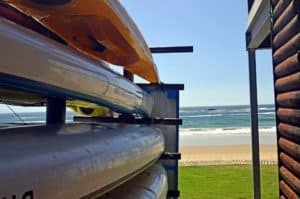 Some of the popular areas are Natures Valley, The Crags, Keurbooms Beach, the Keurbooms Lagoon, Keurbooms and Bitou Rivers, Lookout, Central and Hobie Beach, Robberg Beach and Robberg Nature Reserve. Apart from our natural resources Plettenberg Bay is known for it’s boutique shops, fine cuisine and restaurants, Polo, golf, adventure activities, theatre and much more; creating the perfect holiday environment. With a moderate climate all year round it is ideal. The hotel is situated in a private nature reserve, nestling on a cliffs edge, offering guests dramatically sweeping views of the Indian Ocean. Here accent is on uniqueness, time honoured values, excellent personal service and superb cuisine……. 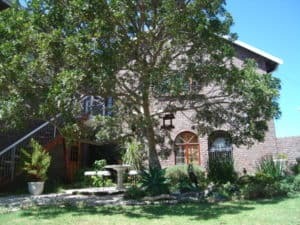 Redford House is a historic country guest house situated at the foot of the Tsitsikama mountains twenty kilometers from Plettenberg Bay in an area known as The Crags. The Crags has become sought after by tourists because of its spectacular mountain and forest scenery and proximity to magnificent beaches and tourist attractions in Plettenberg Bay, Nature’s Valley and Storms River. In addition it has become the polo mecca of South Africa with many beautiful estates unrivalled anywhere in the world. To the north is a national park stretching towards Addo, to the west the Keurbooms Nature Reserve, to the east the Tsitsikama National Park and to the south is Whiskey Creek Nature Reserve and the sea. This makes it an ideal destination for echo-tourism at its finest. 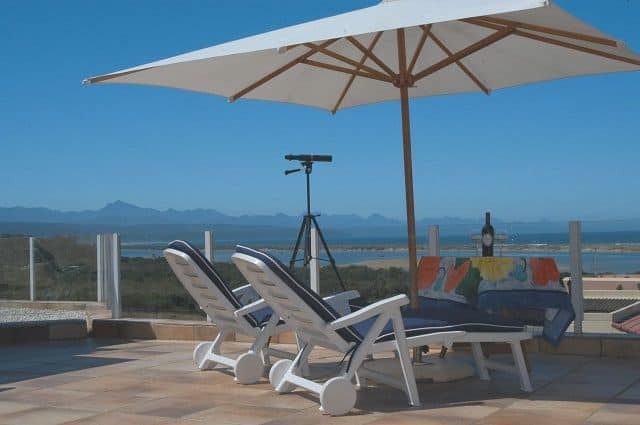 The SONDEL Beach House is a large luxury holiday home, tastefully decorated and situated a mere 160 meters from Solar Beach, Robberg Plettenberg Bay. The beach is accessed along a boardwalk leading from directly opposite the house and which opens up to a breath-taking 5km stretch of fine golden sand and safe swimming beaches. Views run across the bay with the historically rich Robberg Peninsula to the right and to the left the Tstitsikama Mountain vista. The accommodation consists of five en-suite double bedrooms, fine finishes, large open-plan entertainment areas, barbeques and a solar heated private outdoor swimming pool. The house is tiled throughout together with under-floor heating. Bedrooms are carpeted. The home is rated “Superior” by the Automobile Quality Assurance program. Luxury guest house or Bed and Breakfast (B&B) accommodation for leisure as well as business in Plettenberg Bay. This well-placed accommodation with its unobstructed ocean as well as mountain views, is a 12 minute walk from the beach. The Tourism Grading Council of South Africa graded this guest house as a 4 star establishment and it also boasts a Superior grading from AA. 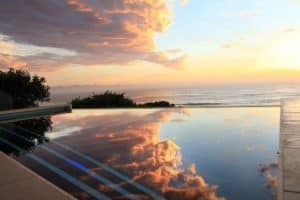 The Little Sanctuary overlooks the beautiful Lookout beach and is blessed with panoramic views of the sea, lagoons, and Tsitsikamma Mountains. The Little Sanctuary has recently undergone an extensive modernization, makeover and upgrade. The results are stunning. The house now features an extra floor to make the most of the views, five double bedrooms, modern kitchen, swimming pool, large garden, built in BBQ, several entertaining areas, with cleaning service included. 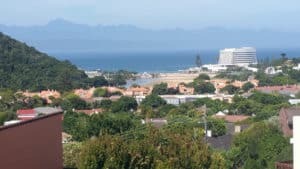 This delightful luxury seaside property provides you and your guests with the perfect self-catering holiday being located within very short walking distance of the sea, beaches, restaurants and Plett’s high Street. The closest restaurant is only a two -minute stroll away just meters from the sea. Located at the end of the sought-after Formosa Street, the property is adjacent to the “Lookout Nature Reserve” providing direct access and uninterrupted access and views to the sea. Panoramic views over the pristine and endless beaches of Plettenberg Bay, South Africa’s finest. 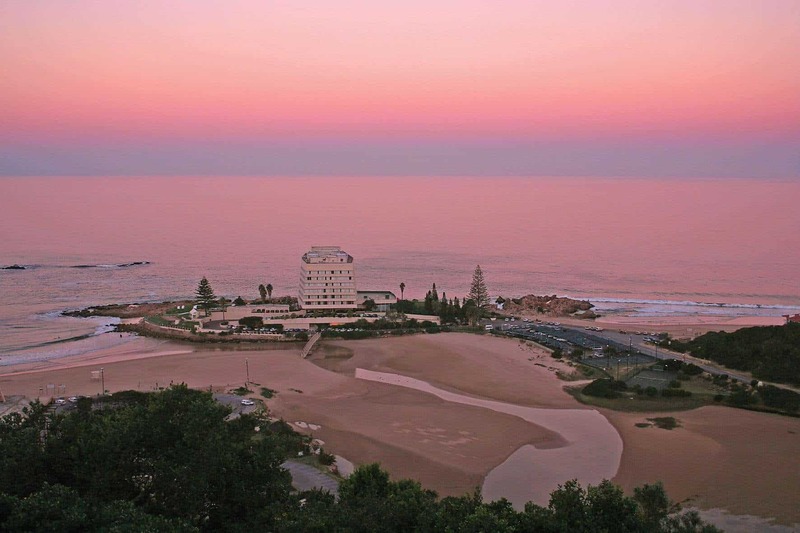 The Plettenberg Hotel – situated on a rocky headland in Africa’s most spectacular beach town – is the ultimate escape. This property, with 37 individually decorated rooms and suites, showcases the most breathtaking vistas in Southern Africa. With views of the ocean, mountains and endless stretches of golden beach, The Plettenberg’s location is in a league of its own. The Plettenberg Hotel is situated in the heart of South Africa’s favourite seaside vacation spot, Plettenberg Bay. Located in the adventure–rich Garden Route it is world–renowned for its excellent selection of outdoor activities: from regular dolphin and whale sightings to bungee jumping, treetop canopy tours and other more daring pursuits in the surrounding countryside. 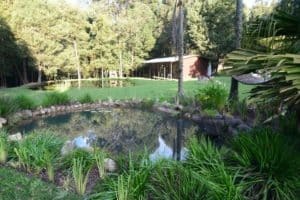 A peaceful, affordable & Pet Friendly forest hideaway on the edge of a suburban green belt just 5 min away from everything, beaches, Golf Courses, Airport,Shops, Restaurants & a host of activities. 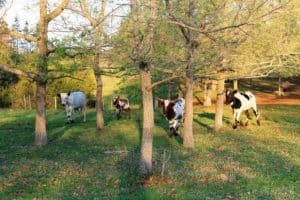 TREEHAVEN is a place of peace to retreat to after a busy day at play on the Garden Route, one of those special places sought out by the discerning traveler, a feeling you’re ‘in the middle of nowhere’ yet around the corner from everywhere. Tsala Treetop Lodge – Amidst the treetops of an age-old indigenous forest, Tsala is a lavish celebration of the spirit of Africa. Like the monumental ruins of an ancient African civilisation, Tsala’s impressive stone-masonry entrance flanked by water leads to a magnificent foyer. The elaborate afro-baroque décor’s earthy colours, rich textures and handcrafted fittings are inspired by the diverse cultures of Africa, with the sophistication of the Western World. Tsala is, in every sense, a magical place – breath taking views from everywhere, superb unobtrusive service and dining to match, whether at the renowned Zinzi Restaurant (SA’s Top 100), the Tsala dining room or in the intimacy of your suite. A hidden oasis surrounded by magnificent gardens, Vilacqua is a beautiful white villa perched at the top of a sweeping driveway. Five discreet en suites, each with a personal deck and exclusive entrance allow for absolute indulgence. Built around Feng Shui principles of balance, Vilacqua offers guests the opportunity to enjoy the sumptuous water feature or relax around a glowing fire pit. There are also various sun decks and a pristine aqua pool for lazy afternoon relaxing. 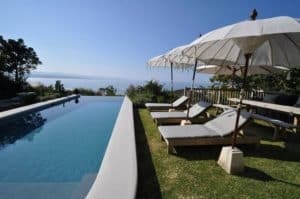 Facing the bay this luxurious and exclusive guest villa is a short walk from the sea.